Our client needed to strike while consumer interest in fishkeeping was hot. A certain major motion picture starlet was about to hit the big screen, and the pet industry was anticipating a rise in interest for fishkeeping. To make sure Tetra® capitalized on this demand, we launched a national integrated marketing campaign to get retailers excited and attract new customers to grow retail sales. Our hook? GloFish®, and Tetra’s exclusive line of GloFish products. Plus, we created a little starlet of our own: Gloria GloFish and her fishy friends, the Tetra Gang – Tito Tetra, Cid Cichlid, and Carnie Goldfish. GloFish were bred initially for an excellent cause: to help detect environmental pollutants in bodies of water. Today, these fun fluorescent fish are one of the most highly sought-after home pets on the market. Tetra planned to make a huge splash by introducing retailers to these unique fish at Global Pet Expo, the pet industry’s largest trade show in the country. Global Pet Expo in Orlando Florida is the largest trade pet show in the U.S., attracting manufacturers of products for dog, cat, fish, reptile, small animal and equine from all over the world. To prepare for the debut of all four characters at the trade show, we designed all the marketing materials, engaged PR with the trade before, during and post-show, as well as reached out to our consumer base to create awareness of new upcoming products. The focal point of Spectrum’s trade show booth was a custom designed “Gloria GloFish® Experience” room, which featured the GloFish and Gloria video as well as merchandise and new décor, including a special Gloria GloFish ornament and live aquariums. As attendees passed by the booth, they could hear Gloria luring them in: “Yoohoo! Hello! Come on in!” When someone entered the booth, a motion sensor triggered the video to play. The Gloria GloFish video introduced her, the gang and why they were special. The video also introduced the new consumer products to retailers. In addition to the Gloria video, a second video previewed all GloFish retailer and consumer programs slated for the year. Also, as part of the two-pronged marketing program (trade and consumer), we launched a Gloria GloFish® landing page & Facebook page. We also developed an in-store merchandising system, live tank violators and specially marked kits containing the new Gloria Storybook designed especially for young children. A high-profile launch helped produce higher returns. The “Gloria GloFish® Experience” was a high-profile launch that helped Tetra brand increase sales that year by 17%. This fun, interactive experience made its mark among retailers. 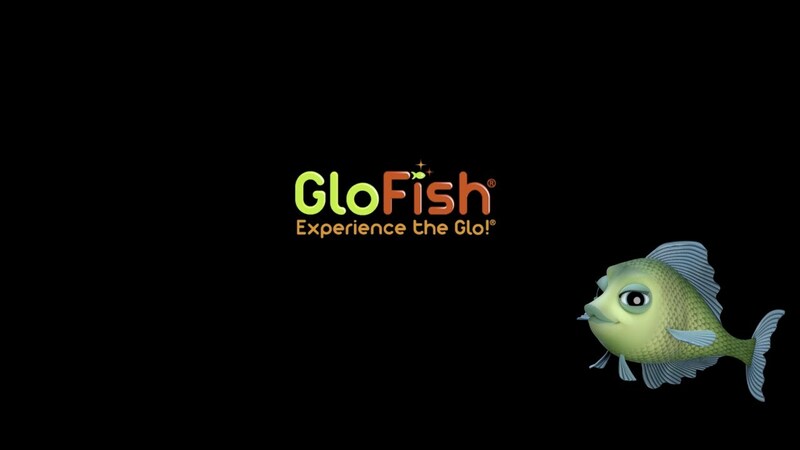 After watching the video, many of them asked if they could have a copy to play at their stores so they could create their own "Gloria GloFish® Experience."